I’m a Cloud Consultant at Levvel that specializes in Kubernetes. We are partners with Red Hat, so I was asked to skill up on Red Hat Openshift. 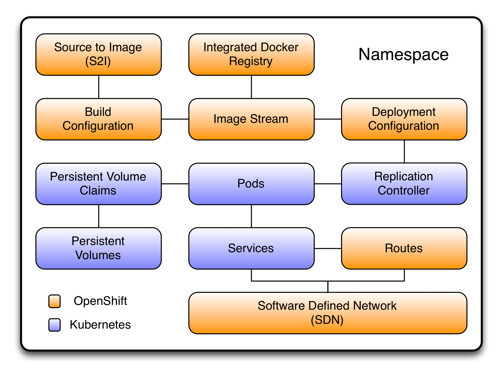 Red Hat Openshift is a Platform as a Service based on Kubernetes, but I was largely unaware of the different terms in use in the OpenShift ecosystem. I wrote this to assist people who are familiar with Kubernetes but unfamiliar with Openshift, so that they can understand the different verbiage used in each ecosystem. I’ll cover some of the infrastructure differences between Kubernetes and OpenShift — specifically, the differences between route/router and ingress/ingress controllers and between namespaces and projects. OpenShift is a platform as a service (PaaS) from Red Hat that is built on Docker and Kubernetes. Kubernetes is an open source, container as a service (CaaS) project originating from Google. 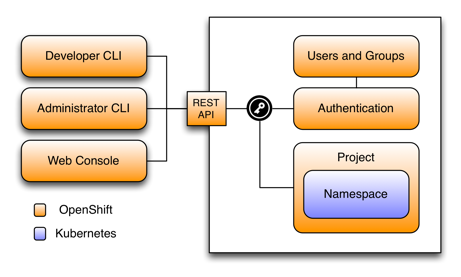 Figure 1. below shows Kubernetes components in purple and OpenShift components in orange. To clarify, the default Router in Openshift is an actual HAProxy container providing reverse proxy capabilities. The route is an Openshift construct that defines the rules you want to apply to incoming connections. This matches the Ingress and Ingress Controller resources in Kubernetes. Where in Kubernetes the Ingress Controller could be a NGINX container providing reverse proxy capabilities, and the Ingress Resource defines the connection rules. In short, an Ingress is a collection of rules that allow inbound connections to reach the cluster services. Before you start using the Ingress resource, you need to create an Ingress controller to satisfy an Ingress — creating the Ingress resource will have no effect without an Ingress controller. I found the answer in the book OpenShift for Developers, A Guide for Impatient Beginners by Grant Shipley and Graham Dumpleton. So, projects are namespaces with security annotations. OpenShift route exposes a service at a host name, like www.example.com, so that external clients can reach it by name in a mature fashion. The route function is mature in OpenShift and easy to implement. Ingress and Ingress Controller are still a beta resource at time of writing and should not be considered stable for production use. Projects enables multitenant use of an OpenShift cluster with access privileges determined by the identity of the user or the team they belong to. Sources: Shipley, Grant and Dumpleton Graham. OpenShift for Developers A Guide for Impatient Beginners. O’Reilly Media. Diagrams used with with permission of Shipley, Grant, and Dumpleton Graham. 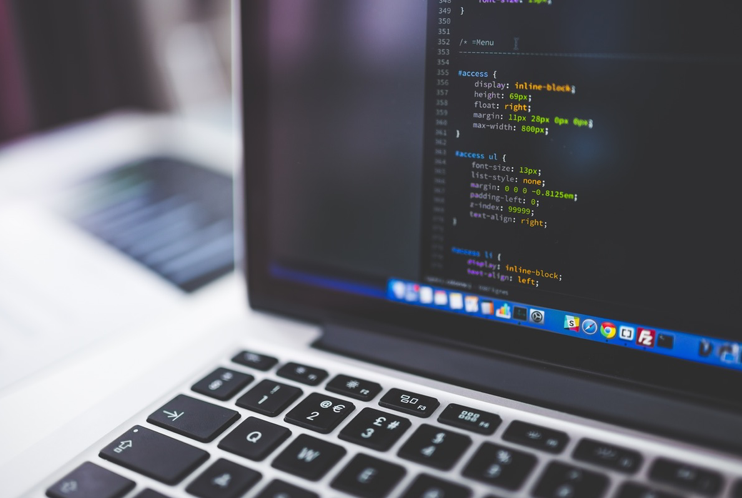 DevOps and Cloud Practice Lead, Asia-Pacific at @GetLevvel. We help big companies innovate like startups, & small businesses scale like industry leaders. Ask us how we can help you transform your business.